Coastguard Boating Education's Safe Boating programme is designed to provide practical, boating and water safety experiences for children. Ask about Safe Boating at your local aquatic centre. The programme includes in-water survival techniques, essential safety equipment (e.g. correct lifejacket selection and fitting), the importance of communications, and taking responsibility for personal safety. Boating activities are taught in a fun, controlled, and safe environment. 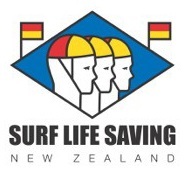 Surf Life Saving New Zealand delivers beach safety education to students through Beach Education and Surf To School. Beach Ed is a full day surf safety course delivered at the beach by surf lifeguards. Water activities - may include mock rescues, body boards, channel/hole identification, survival using flotation device. Being sun smart, the risks of hypothermia and first aid. Original generation time 1.9655 seconds. Cache Loaded in: 0.0513 seconds.